Explicit TPB - BIC - DC and IDW - Batman-TMNT Adventures! TPB Back Issue Classics Episode 90 is here! Mike and Joe return to talkin' Turtles with a side of Bat!... This dynamic duo go through issues 1-6, and spoil everything! We talk about how Mike is loving the writing and Joe .. well loves the art and more! 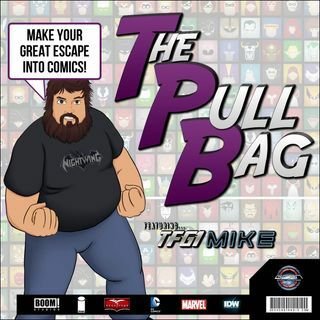 So grab some Pizza Dudes, sit back, relax, and listen in as we give you the Batman TMNT Coverage you want only here inside The Pull Bag!